Muster Rugby gets behind Banks Tyres to launch tyre safety week . 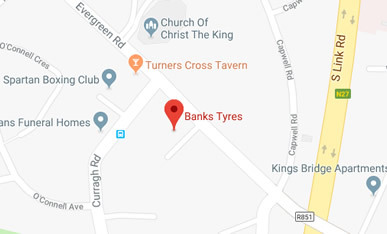 To promote road safety Banks Tyres is offering free tyre checks and is giving all those who call in for the month of October a chance to win a €500 tyre voucher (no purchase necessary) . 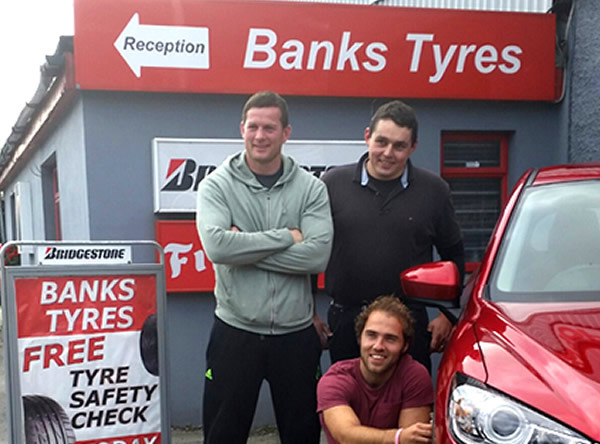 David Banks with Munster Rugby’s Denis Hurley & Duncan Williams getting their free tyre safety check. Enter Our Free Draw for €500 voucher. We are offering entry into our free draw for a €500 voucher for everyone who avails of the National Safety Check in October 2014.